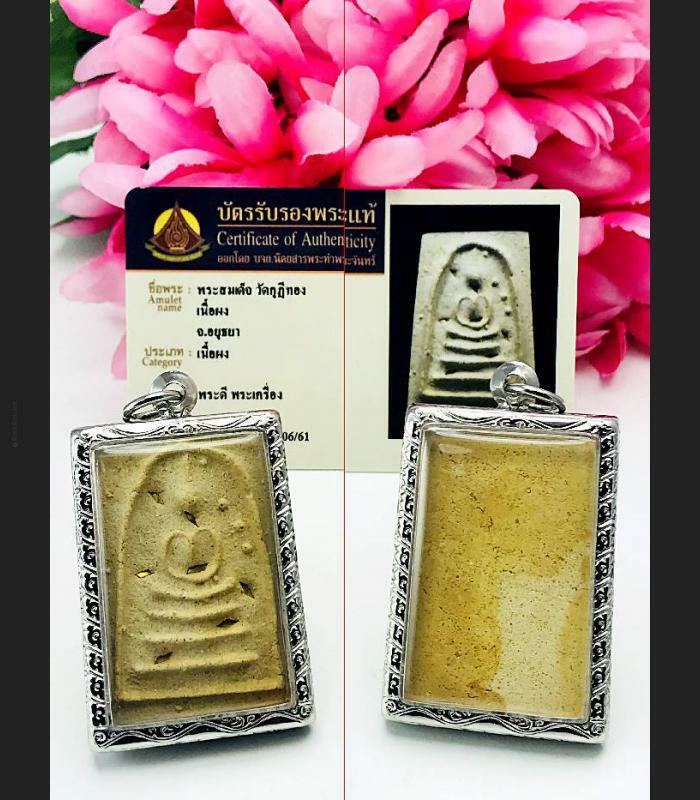 Item 名稱: ANCIENT SOMDEJ TOH PHOMRANGSRI WAT KUDITHONG BE.2395 THAI AMULET 7X +CERT. 7 GOLD SHEET INSERT AT FRONT WITH FAMOUS PHIM (MOLD), GOOD FOR PROTECT YOUR LIFE AND HELP YOU SUCCESS IN YOUR BUSINESS. GIVE YOU FORTUNE AND UNEXPECTEDLY WILL HAPPEN WITH YOU. THIS AMULET WILL BRING PROSPERITY AND ENSURE SUCCESS AND WEALTH. 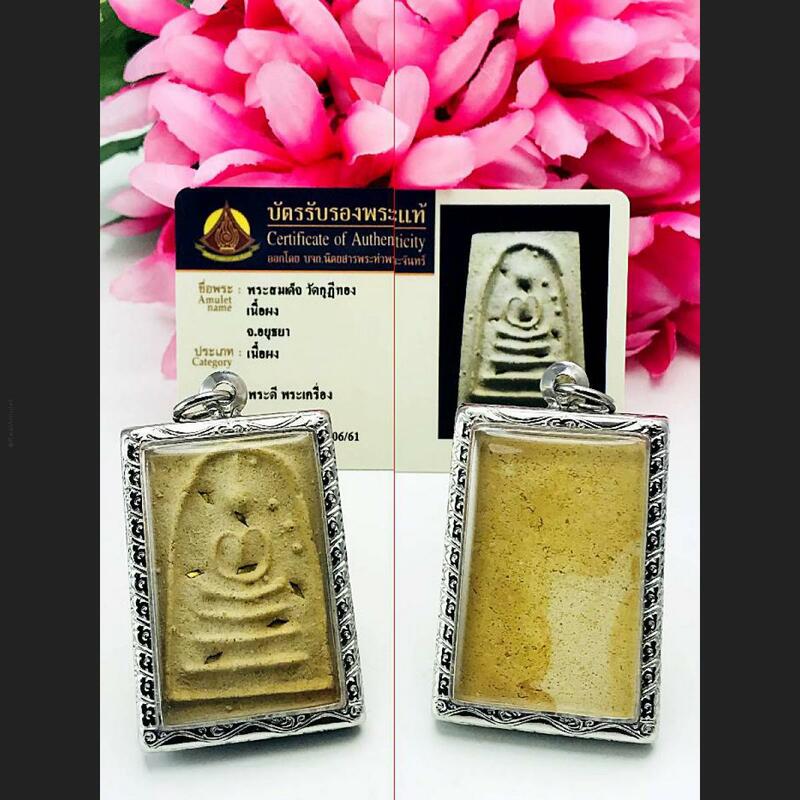 Phra Somdej Lp Toh Wat Rakang The Famous And Powerful Buddha Amulet Of Thailand. The Post Of Lp Toh Wat Rakang. Lp Toh Was Used This Meditation Ceremony To Bless All Of His Somdej Wat Rakang In The Ancient Time. Somdet Wat Kudi Thong Is More Than A Decade Earlier Than Somdet Toh's 2409 Somdej Wat Rakang. Blessed By Somdej Toh And His Teacher Aj Seng And Other High Monks Of That Era, The Connoisseur Says That Gold Strips Were Added And Were Selectively Distributed To The Chosen. The Remaining Were Kept In The Pagoda. For Ref . Oldest Somdej. This Piece Is Beautiful And Original Condition. Deep Imprint And Got A Lot Of Material Cove On Surface. For All Intents And Purposes, The Quiet And Unassuming Somdej Wat Kudithong Is The Precursor And Prototype For The Legendary Somdej Wat Rakang. This Active Temple Is Located On The Northern Side Of Khlong Mueang (Part Of The Old Lopburi River). It Is Split Into Two Parts By A Road That Runs Through The Center Of The Monastery. The Monks Live In The Buildings Closest To The Water. The Rest Of The Monastery, Including Its Ancient Ruins, Can Be Seen On The Opposite Side Of The Road.